GSAT-6 is the 25th Geostationary Communications Satellite built by the Indian Space Research Organization, joining the group of operational communications satellites stationed over India. The satellite provides a combination of a national beam in C-Band and high-capacity S-Band spot beam coverage. The GSAT-6 spacecraft has a launch mass of 2,117 Kilograms, measuring 2.1 by 2.5 by 4.1 meters in size when in its stowed launch configuration. 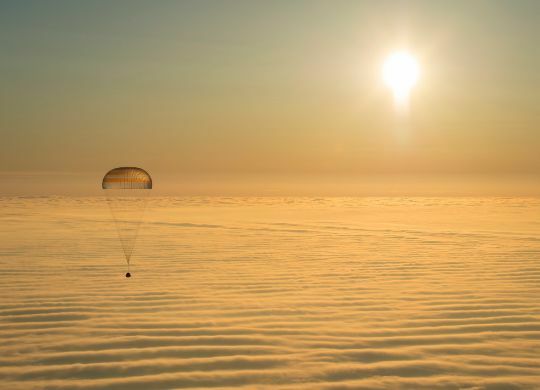 It has a dry weight of 985 Kilograms and carries 1,132 Kilograms of propellants for the climb to Geostationary Orbit and stationkeeping operations. The spacecraft is based on the I-2K satellite platform that features two deployable solar arrays generating 3100W of power, batteries for power storage along with avionics and data handling equipment as well as a propulsion unit and navigation equipment. 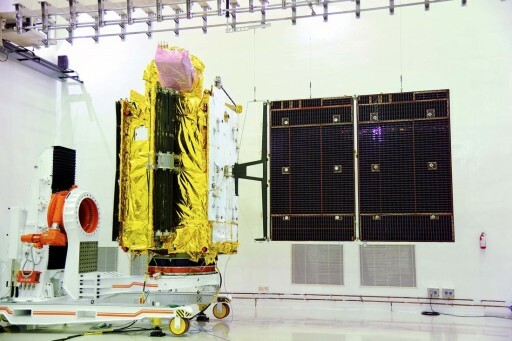 GSAT-6 is the first Indian communications satellite to use a 70-Volt main power bus employing a number of changes in its power and avionics system to create a modern satellite system with increased capabilities. The satellite is equipped with a Liquid Apogee Motor. It provides a thrust of 440 Newtons and uses Mixed Oxides of Nitrogen as fuel and Unsymmetrical Dimethylhydrazine as oxidizer. The engine operates and an mixture ratio (O/F) of 1.65 and has a nozzle ratio of 160. The engine’s injector is a co-axial swirl element made of titanium while the thrust chamber is constructed of Columbium alloy that is radiatively cooled. The engine is certified for long firings of up to 3,000 seconds. The Propellants are stored in spherical tanks that are pressurized with Helium. The GSAT-6 communications satellite carries a payload supporting S-Band and C-Band communications. The spacecraft hosts five C x S transponders operating at a bandwidth of 9 MHz and five S x C transponders each operating at 2.7 MHz bandwidth. The C-Band system delivers a national beam to provide coverage across the entire subcontinent of India as well as some surrounding territories. 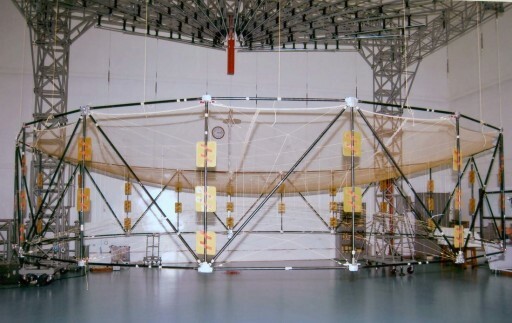 The S-Band system sports a large deployable antenna with a diameter of six meters, to date the largest antenna realized by ISRO. The S-Band system generates five spot beams over the Indian main land employing the frequency reuse scheme to increase the efficiency of the spectrum utilization. The GSAT-6 satellite will primarily deliver Satellite Digital Multimedia Broadcasting services to mobile phones and mobile video/audio receivers used in vehicles. The satellite’s capacity can also be used for strategic and social applications. The GSAT-6 spacecraft is expected to operate for at least nine years from an orbital position of 83 degrees East.